Top Rated SAT Prep Tutors in San Diego, CA! Welcome to San Diego’s top-rated private SAT prep in-home tutoring service! All of the following San Diego SAT prep tutors are certified by Varsity Tutors, the leading tutoring agency in the country! All San Diego SAT prep tutors have been background checked, been interviewed, had mock SAT prep tutoring sessions, and been trained by professionals. 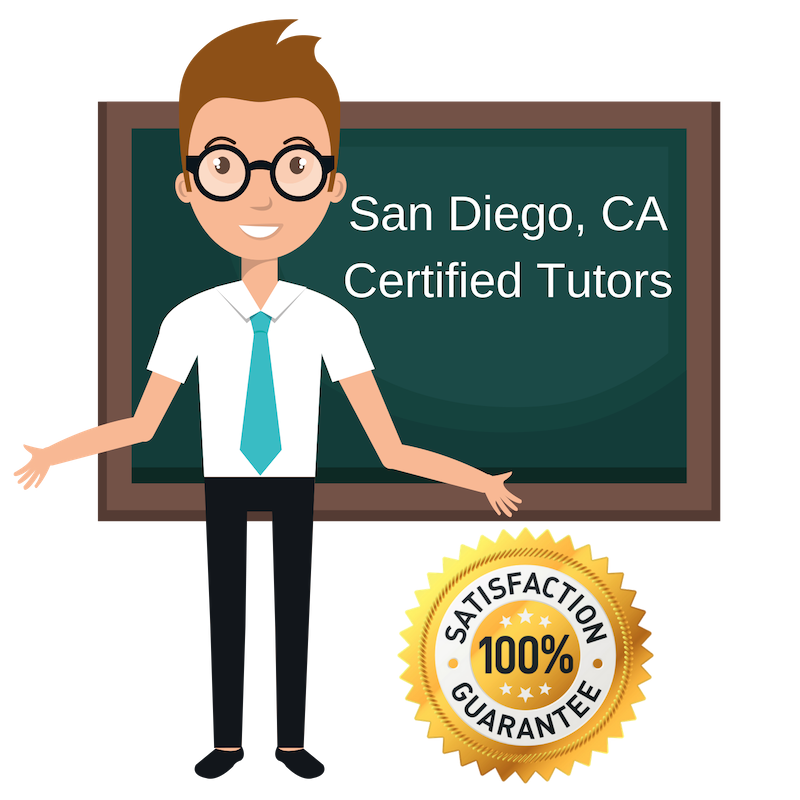 We guarantee you will love your local San Diego SAT prep tutor or your money back! Get information regarding a top-rated SAT prep tutor today! Having taken the SAT myself, I believe I have the experience to help tutor students in understanding and preparing for their SAT test. The studying tactics I used allowed me to a score of 2040 while maintaining good academic standing in high school. I want to ease your anxiety help you develop strategies that will help you focus and excel at your test. I recently graduated from university in with a degree in English and a love for theater and art. Students in the San Diego area, please don’t hesitate to reach me. Taking the SAT is part of the next step in furthering your education after high school. You want the best score you can possibly get to gain admission into the college or university of choice. I will help you learn test taking strategies for each section of the test as well as go over subjects that students have trouble in like reading, writing, and math. We will use SAT practice tests to gauge your level of readiness to make a personalized study plan. I live in the San Diego area and enjoys all that it has to offer. I can’t wait to speak with you. Congratulations on choosing to continue your education. Now you need to pass the SAT to make your application more competitive than other applicants. My name is Leila, an SAT tutor and graduate of University of California-Santa Barbara. I will help you prepare for your test and retain the information in fun and creative ways. As your SAT tutor, I will help you improve your critical thinking skills such as problem solving and reading comprehension. I believe students can succeed when they have a guiding hand to help them along the way. I will work with San Diego students to help them get a competitive SAT score that makes their college application packet strong. High school students are preparing admission applications for college. Getting a competitive score on the SAT is just as important as getting volunteer hours and writing a personal statement. They all work together to make the applicant stand out. I am here to help students in the San Diego area prepare for their SAT. I will help them develop a study schedule and study habits that will assist them in retaining knowledge. Any specific areas on the SAT that the student is struggling with will be addressed, and I will provide SAT prep material that will supplement study materials they already have. Student-Tutor's partnership with Varsity Tutors makes it easy to find local world class certified tutors no matter where you live. Here are some other tutors in San Diego. Let's Spark Bright Futures!